The fastest hunk of junk in the galaxy is docking at Comic-Con International: San Diego 2014. 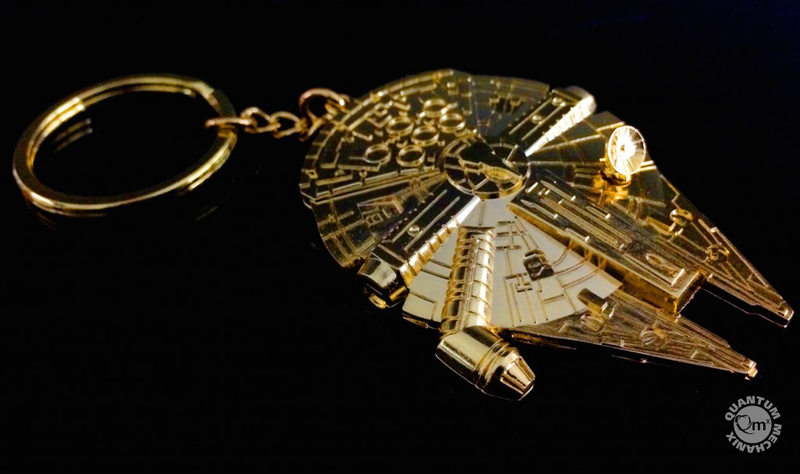 This gold-plated, steel-alloy key chain was created using the official digital files from the Lucasfilm archives. This highly-detailed, 1:700 scale replica of the infamous Corellian freighter is being offered in a limited edition. The Falcon is just 2 inches long and comes equipped with a key ring, ready to accompany you on your adventures throughout the galaxy.